Home » General » Is the Au Pair option the childcare solution for us? Is an Au Pair the childcare solution for us? 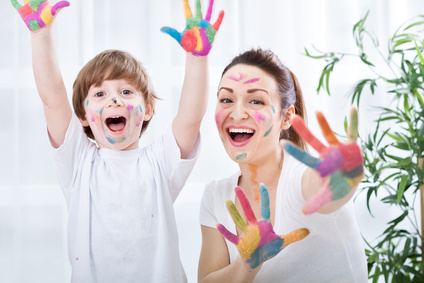 Are you wondering whether an Au Pair is a good option for your family? Here are some important things to consider before committing to hosting an Au Pair. First and foremost, you are welcoming into your home a soon-to-be extended member of the family. Your Au Pair will be like a much older sister to the children. She will accompany you to important engagements (birthdays, family holidays etc…) She will eat with you, laugh with you and share memories with you. Depending on your arrangement, she may also travel on holiday with you. An Au Pair is an employee as far as Revenue Canada is concerned but she is much more than that in actuality. Au Pairs are flexible, but you still need to respect and honor their free time. Au Pairs are not at your beck and call and need to have a clear schedule. Although they will live with you, you also need to remember to respect their privacy. Because Au Pairs are strictly “live-in” an Au Pair must have a private bedroom. It’s nice if she has her own bathroom but it’s not a deal-breaker if she has to share. An Au Pair will perform light housework but she is not a cleaning lady. Most Au Pairs tend to chores that directly involve the children and should not be expected to take care of parents’ laundry or clean toilets (yes, we’ve heard horror stories). Au Pairs are not “professional childcare.” Most Au Pairs have childcare experience, but they are not career nannies. When you decide to host an Au Pair you need to do your diligence and choose an Au Pair with a level of experience that matches your expectations. This is especially important if you have very young children.